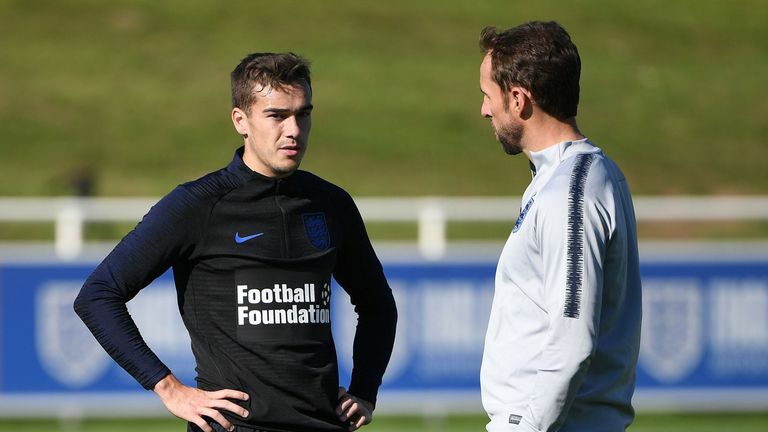 Harry Winks' technical ability makes him the perfect replacement for the suspended Jordan Henderson for England's UEFA Nations League clash with Spain, says Jamie Carragher. England travel to Seville for Monday's encounter, live on Sky Sports, with Henderson unavailable after picking up his second Nations League yellow card in Friday's 0-0 draw with Croatia, leaving a hole to fill in midfield. Winks has worked his way back from injury to become a key member of Mauricio Pochettino's Tottenham squad once again this season, and it is one recent performance in particular that Carragher believes highlights Winks' potential value for England. "You would imagine Joe Gomez will come in at the back because of how well he has started the season for Liverpool," Carragher said. "He has been outstanding at the back with Virgil van Dijk. I would expect him to slot in into a back four, where he has been playing for his club. "In midfield, maybe Harry Winks. He played really well for Spurs against Barcelona in the Champions League, against similar type of players. Again, it won't be easy, but I think in Seville on Monday night, we are going to have to do as well as we can to keep the ball against Spain. Winks is as good as anyone who can come in for Jordan Henderson in terms of technical ability." England are winless so far after two games of the new Nations League tournament, having already suffered defeat to Spain at Wembley before Friday's draw with Croatia. Monday's task could not be more daunting, given England's recent record against top sides. Gareth Southgate pointed to England's struggles since 1970 - just eight victories in competitive matches against traditional international heavyweights in that time - and Carragher believes England will have to step up sooner rather than later. 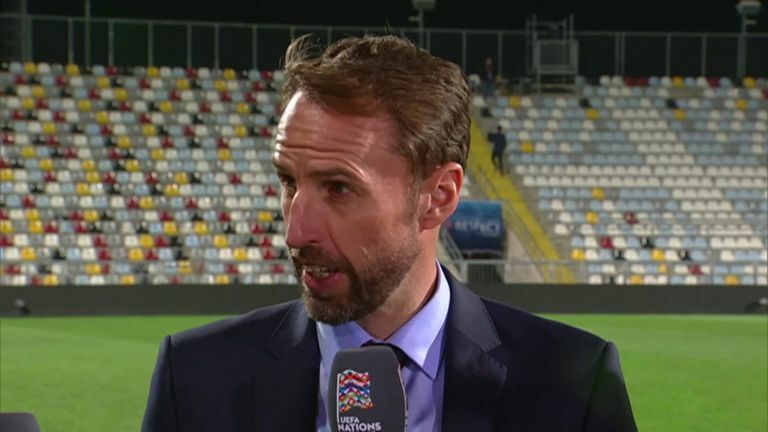 Gareth Southgate says if England were slightly more ruthless with their chances, they would have won their Nations League game with Croatia but praised the team's performance. "England have real problems coming up against the top sides," Carragher said. "I don't know how long it is since we beat them. Looking back at the World Cup, yes it was a fantastic summer, but as soon as we came up against a top side who were on our level or slightly above us in Croatia we lost. Before that, we always played teams we would fancy ourselves against really. "It is difficult, but this game [against Spain] is as much about performance as it is about result."